Tanglewood Youth Theatre has long been a successful and inspirational part of children’s creative education in Western North Carolina. 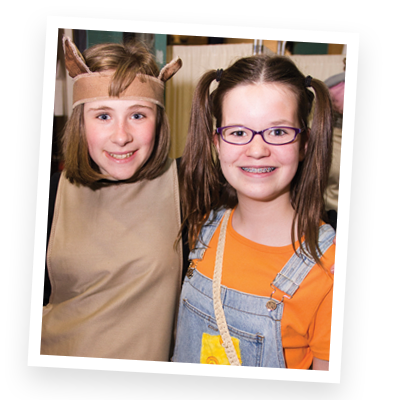 Our theatre camp has been extremely popular and is well-suited for any young person interested in exploring the exciting world of theatre. Our faculty represents some of the finest talent in the area, and we are thrilled to have them at Tanglewood. For each session, classes include acting, music, movement, film, and design. Each session ends with a showcase for family and friends! We hope you’ll join us for 2019! Registration for both sessions will open on Thursday, January 31 at 1:00 pm. Have a question? We’ve got an answer! Download our Frequently Asked Questions for Summer Camp! Interested in a scholarship? Download our Financial Assistance Form!